Sorry… I couldn’t resist going “college” for a minute. haha. Good times, good times. Anyways, not long ago I posted about ways to reduce kitchen clutter. 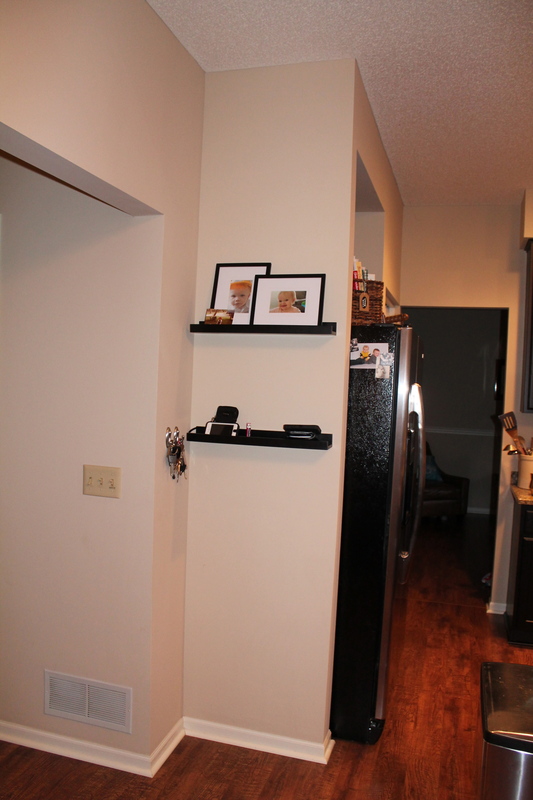 One thing I mentioned was creating a “drop spot” – somewhere to place your keys, wallet, sunglasses, etc. Previously, I just had an occasional table on an awkward wall near the kitchen (in close proximity to the front door and garage entry). I recently moved that occasional table to our family room so we were left without a “drop spot.” Seriously, not more than 5 minutes later, his [the hub’s] wallet, keys, phone and chapstick were mocking me from the previously clutter-free counter. So, I decided to go budget friendly and semi-permanent. Meaning, I chose something cheap and not quite so easy to move. …just a picture ledge. It really does work perfectly for our needs though. My wristlet, his wallet, and both our phones fit perfectly. 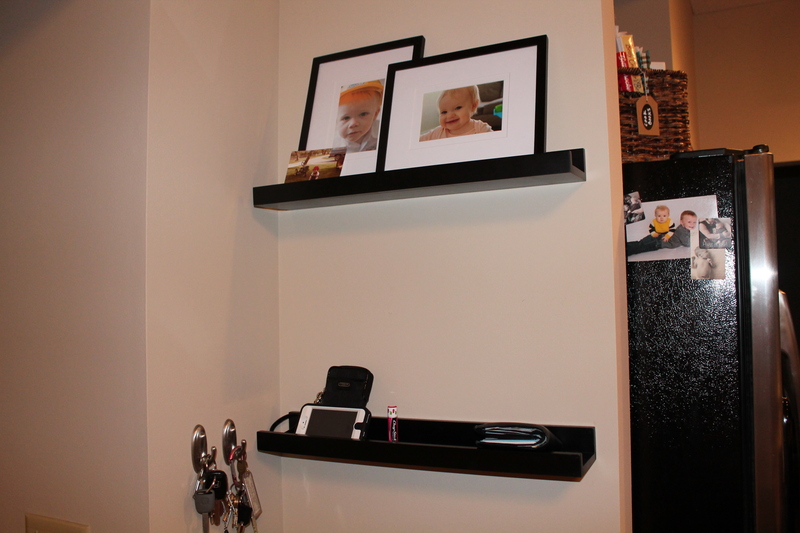 The best part is that I have a place for a couple favorite photos AND there isn’t extra room for unwanted clutter.